T-Balance Plus is formulated to boost energy and support healthy cell metabolism in the thyroid gland and in other areas where thyroid hormone receptors and thyroid hormone conversion activity also occur. Your thyroid hormones (T4 and T3) affect how other hormones in your body behave. 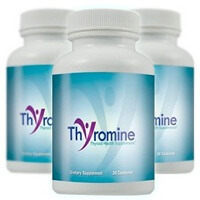 The thyroid itself is deeply involved in metabolism and how your body uses energy. 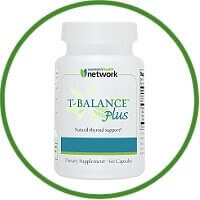 T-Balance Plus is formulated to boost energy and support healthy cell metabolism in the thyroid gland and in other areas where thyroid hormone receptors and thyroid hormone conversion activity also occur.